ISDE has an extensive suite of test and characterization equipment for radiation-effects analysis, including an ARACOR 10-keV x-ray irradiator, two Cs-137 isotopic irradiators and 2-MeV proton source. ISDE team members have extensive experience conducting single-event tests at facilities including Brookhaven National Laboratory, Michigan State University, Texas A&M, Berkeley Laboratory and Indiana University. An array of test equipment is available to facilitate the characterization of irradiated devices and ICs. 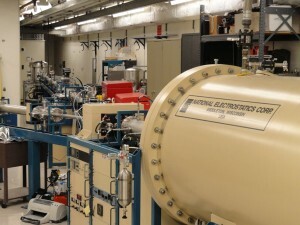 Vanderbilt also has in place a Cooperative Research and Development Agreement (CRADA) with NAVSEA-Crane that provides access to a suite of radiation sources and fully equipped parts analysis laboratory.